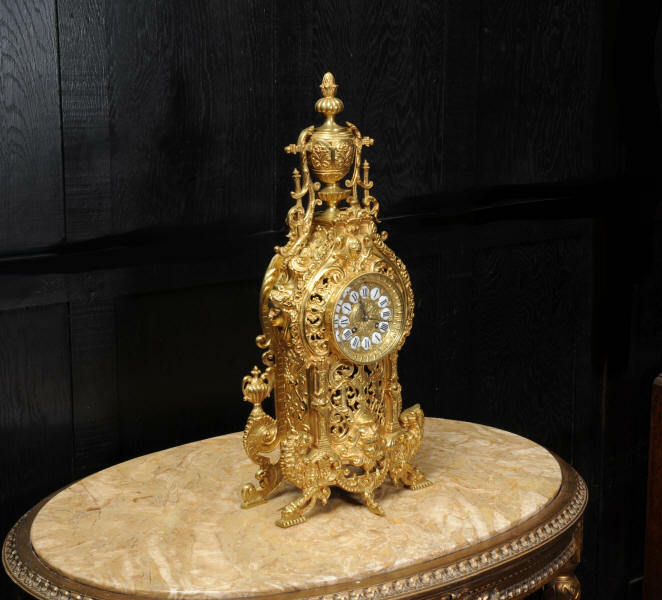 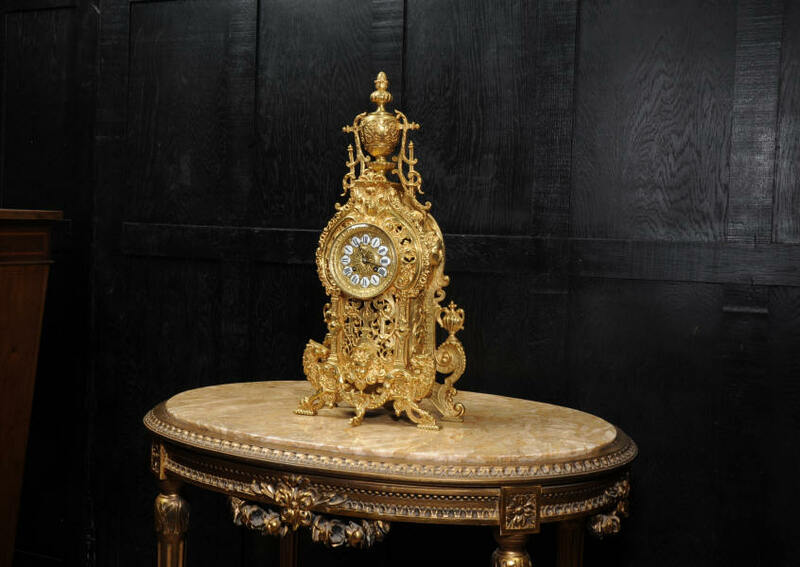 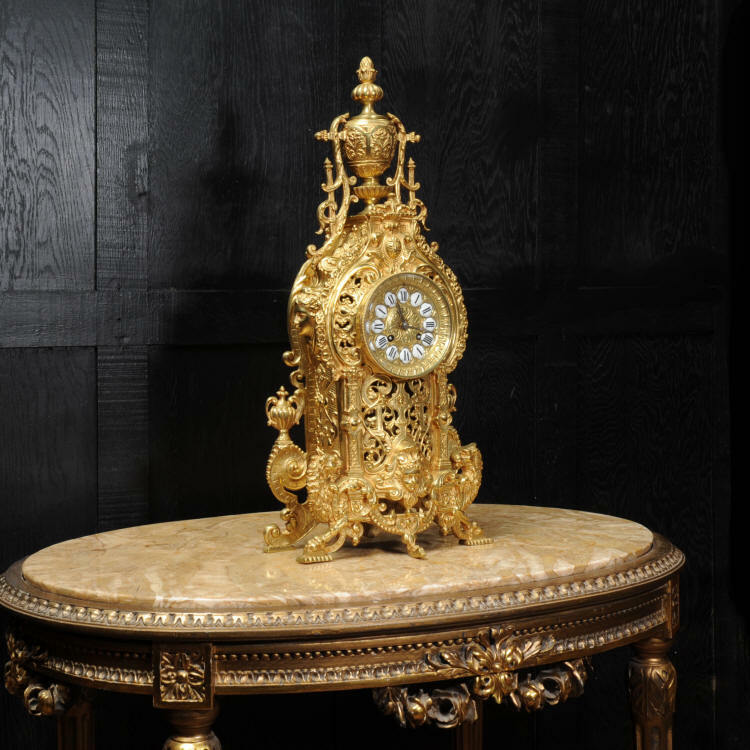 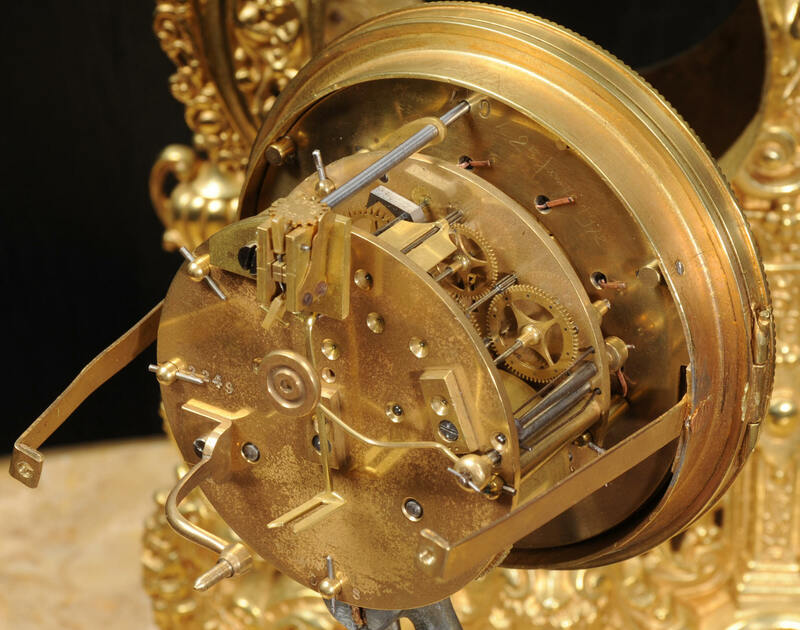 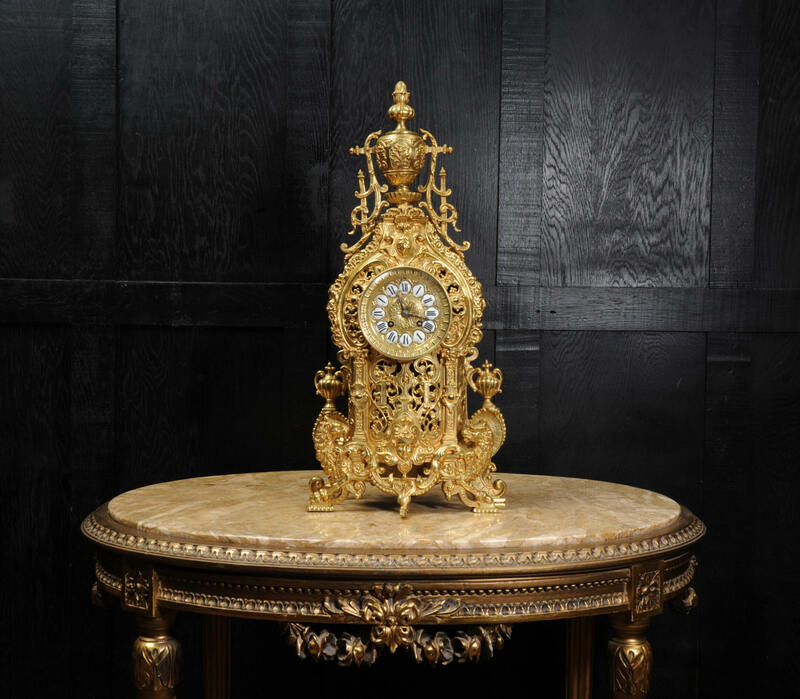 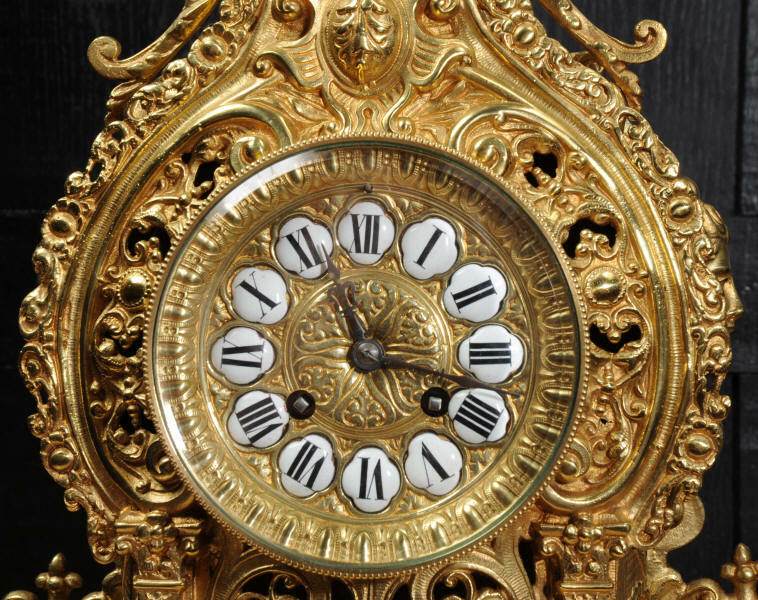 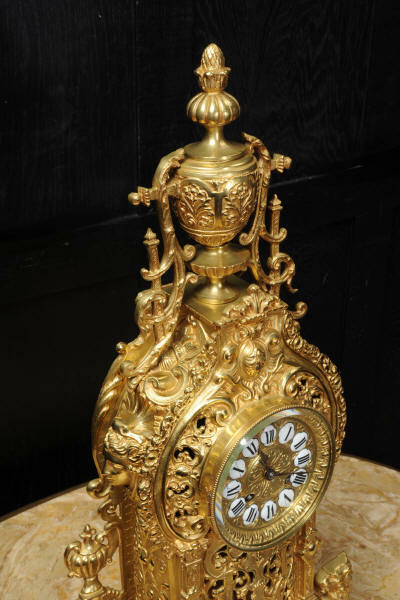 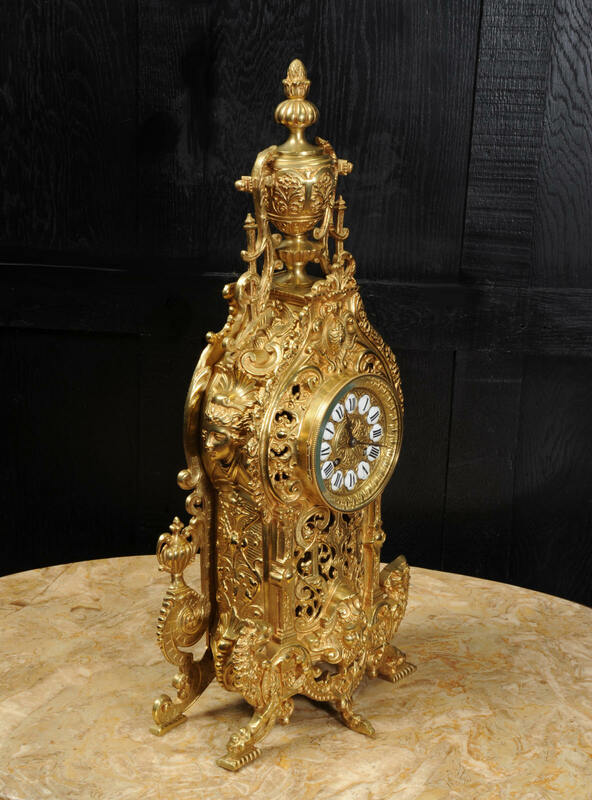 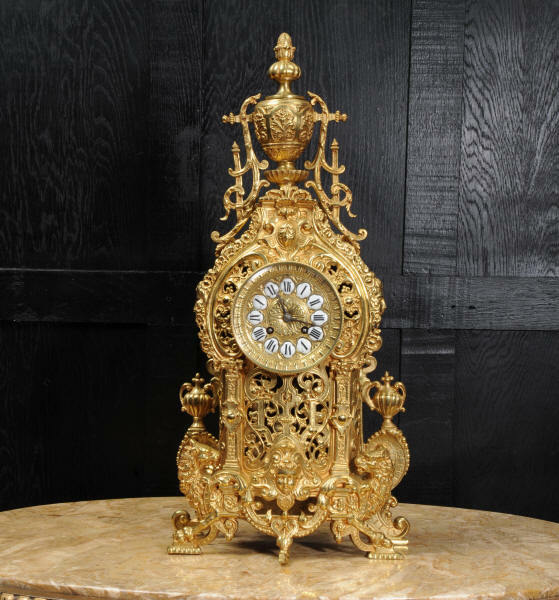 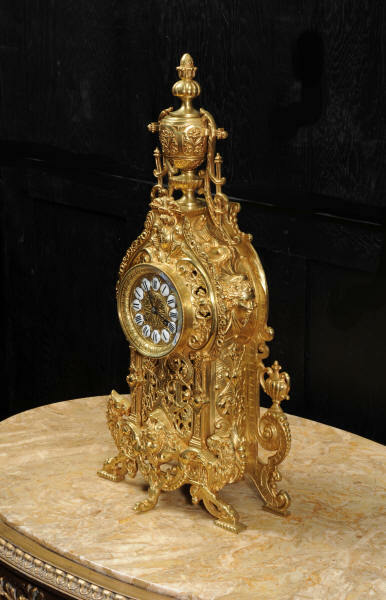 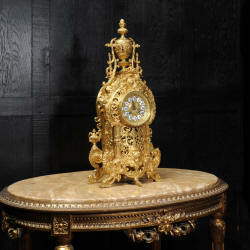 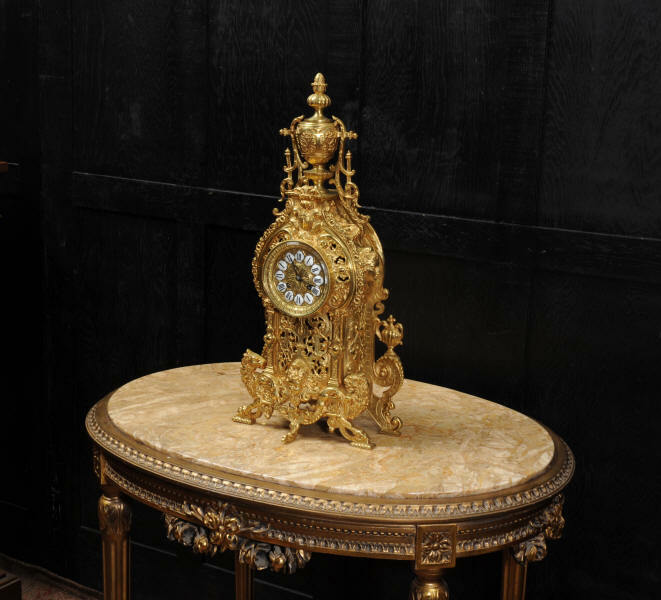 A Large and impressive original antique French gilt bronze clock. 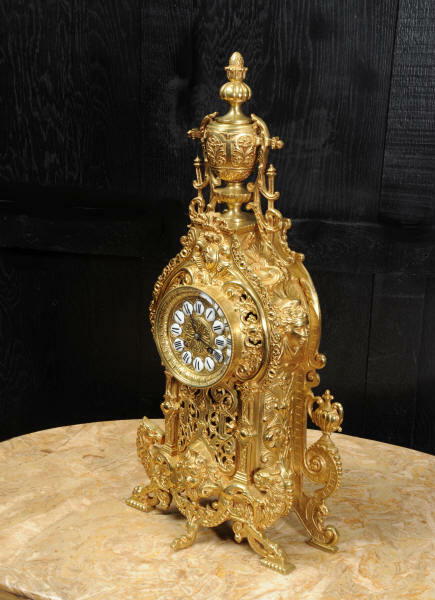 It is Baroque in style, mythical creatures support the clock on a stylised sea of scrolls. 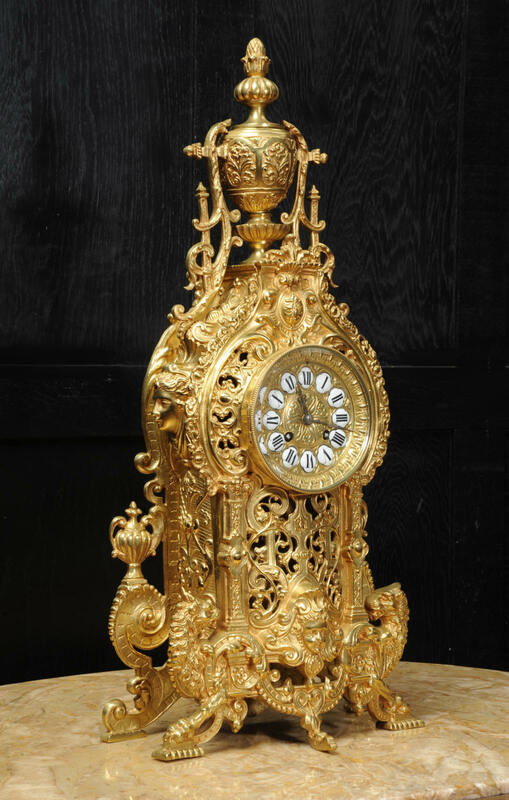 Elaborate twirling foliage forms a fretted front to allow a glimpse of the pendulum swinging gently within. 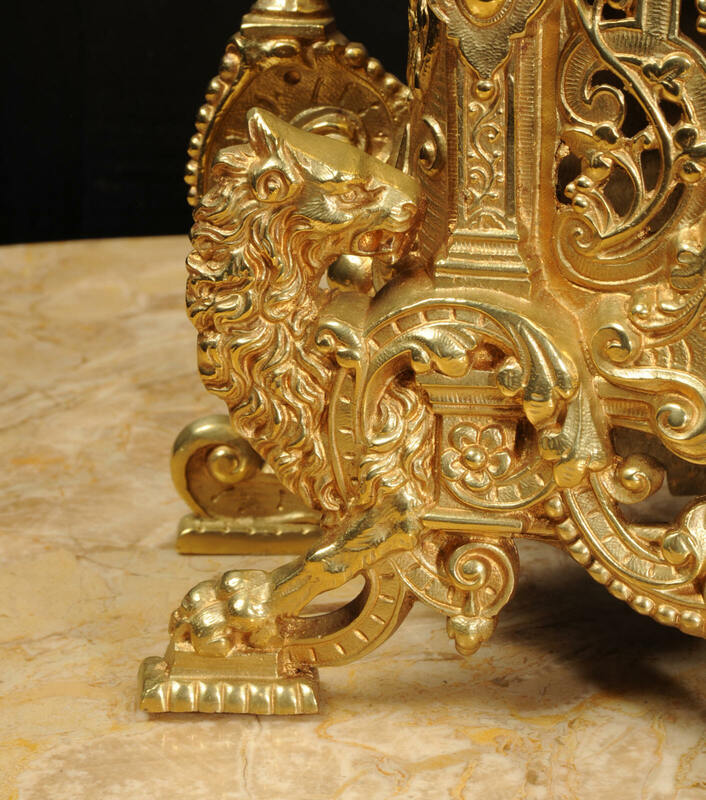 A goddess mask to the front and sides and a large elaborate urn is mounted to the top. This is a beautifully modelled, heavy and finely detailed clock. 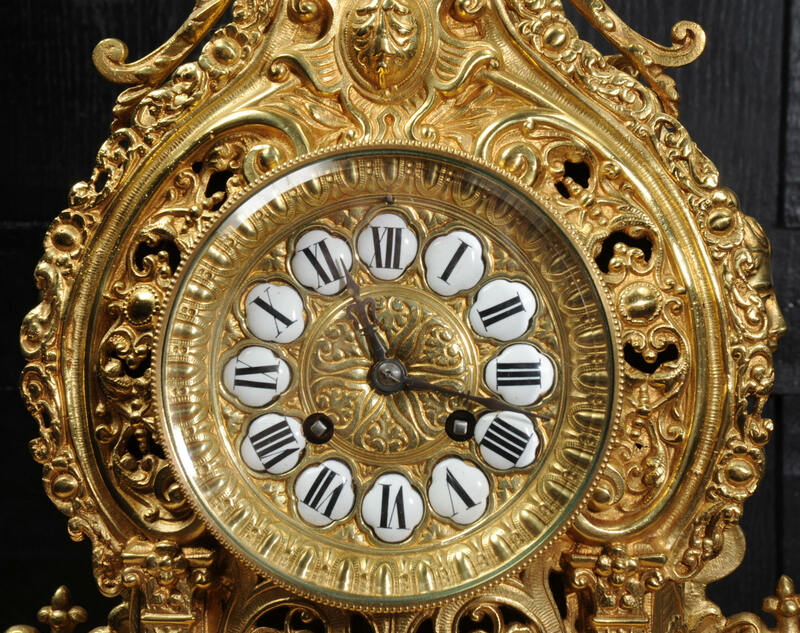 The large dial is also gilt bronze with 12 individual enamel cartouches and blued steel hands. 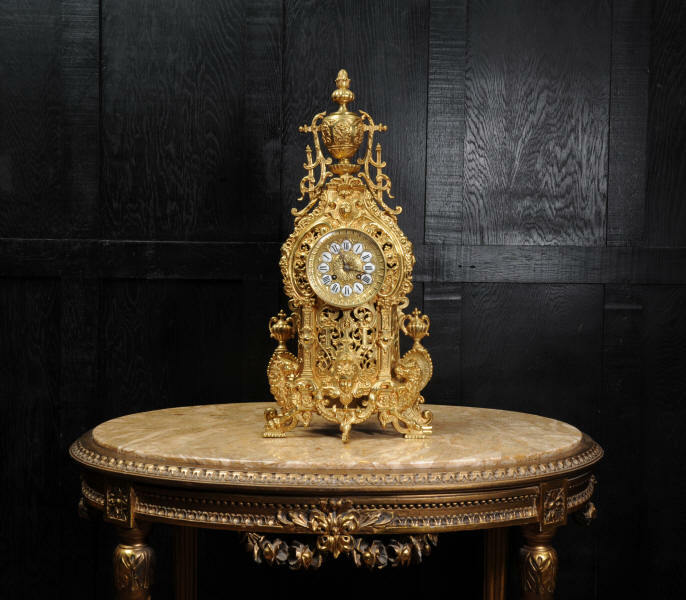 Condition of the case is excellent, beautifully clean and bright with hardly any wear or discolouration and there are no losses. 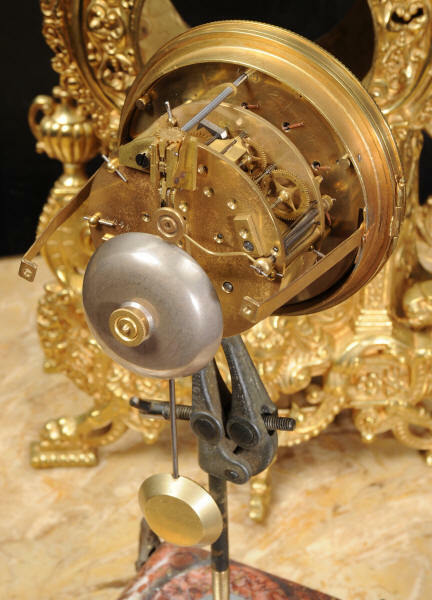 The dial is also in excellent condition just some tiny nibbles to the cartouches. 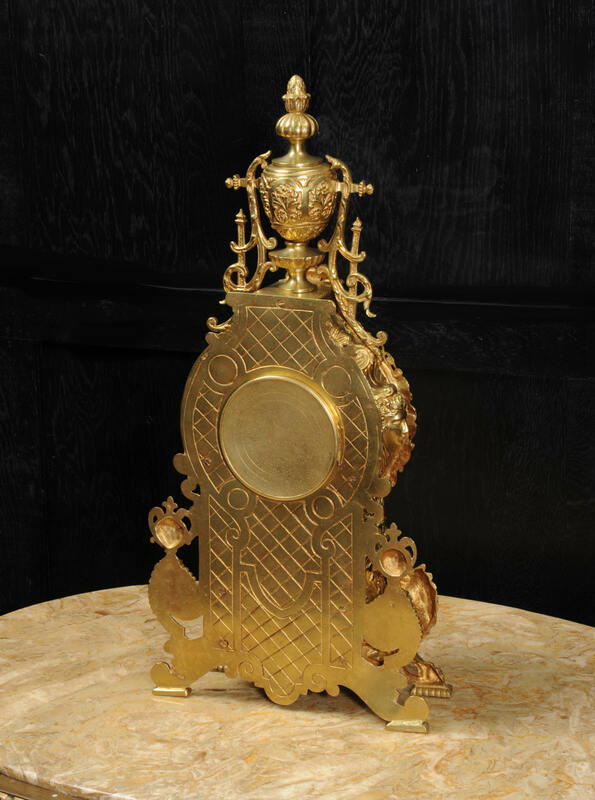 The urn is slightly distorted. 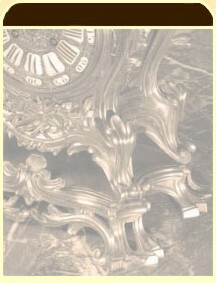 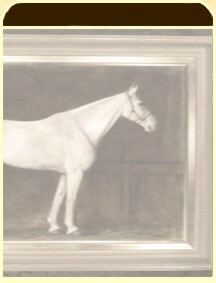 Height 22 3/4", Width 11 1/4", Depth 5 3/4"